All t-shirts and other merch at Peanut Butter Camera is 15% off now through Cyber Monday (Nov. 27). Just use the coupon code BLACKFRIDAY at checkout for 15% off your entire order. 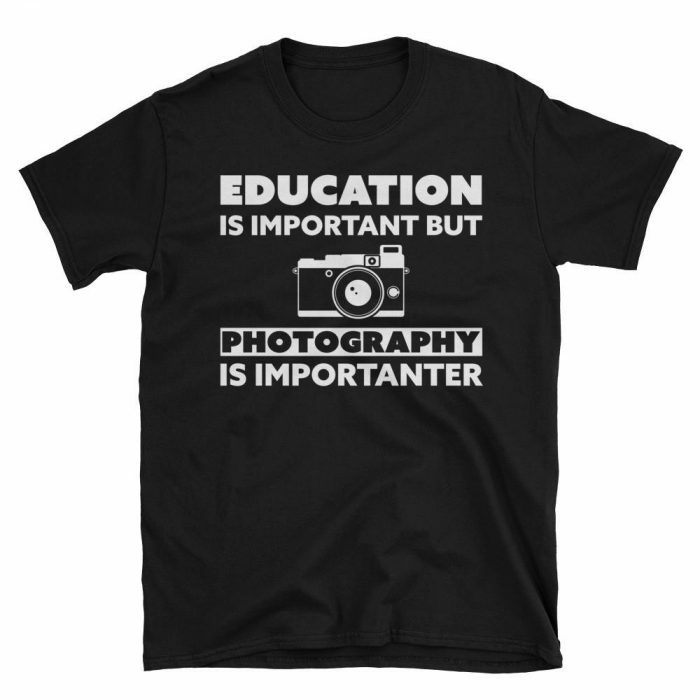 You’ll find photography-themed t-shirts, long sleeve shirts, hoodies and more. Check it out here at PeanutButterCamera.com. Check out the subtle take on a classic 35mm f/1.4 lens’ aperture ring with these shirts. Available at Peanut Butter Camera in regular t-shirt, long-sleeve tee and hoodie options. Also available as a t-shirt or long-sleeve tee on Amazon.com. The shirts from Peanut Butter Camera run true to size, while the Amazon short-sleeve t-shirts are fitted – so order a size up if you are buying from Amazon. If you’ve been paying attention to the Black Friday Camera Deals page, you know that Peanut Butter Camera is offering 15% off site-wide this Thursday through Monday with the coupon code BLACKFRIDAY at checkout. The deal starts Thursday at 12:01AM ET. 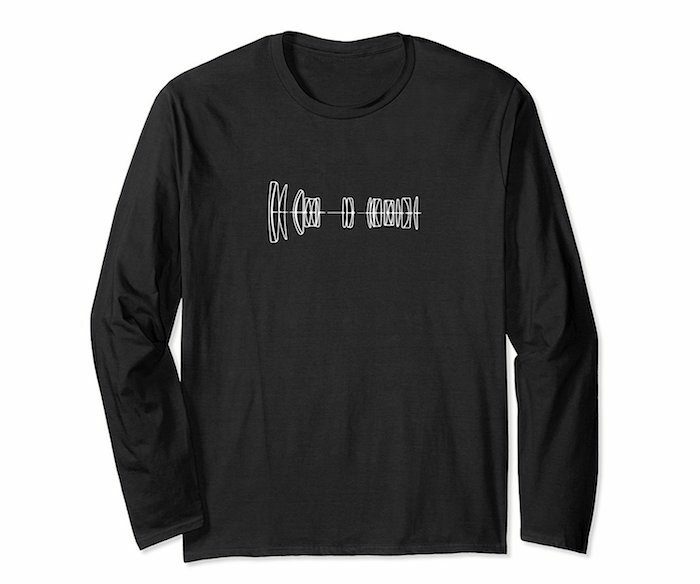 Just in time for the cooler weather, we’ve got a few new long sleeve t-shirt designs available, including the popular 70-200mm optical formula design. This has been in a hit as a t-shirt and now the long sleeve version is available on Amazon (as well as on Peanut Butter Camera). If you’re a Prime member, you may save a little with the free shipping on Amazon. You can find these and others on out sister site Peanut Butter Camera as well, along with international shipping. Thanks for your continued support! 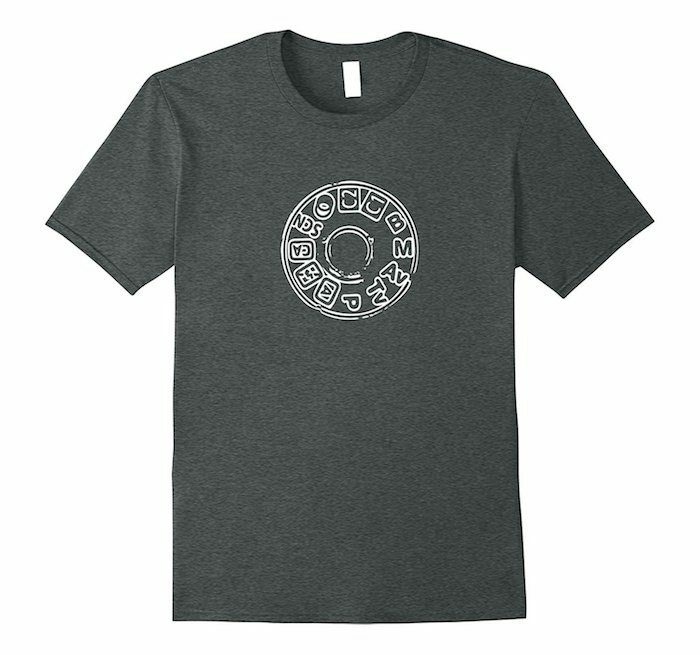 Check out our new Camera Mode Dial t-shirt, which features a weathered mode dial design. As I’ve said before, I like the Dark Heather color choice for both the color and fabric blend. You can find it here on Amazon.com. The lens patent drawing shirts are also popular ones. There is a 70-200mm f/2.8 shirt, a 24-70mm f/2.8 shirt and a 50mm f/1.4 shirt. These run a little small, so order a size up if you are unsure or don’t like a tight fit. 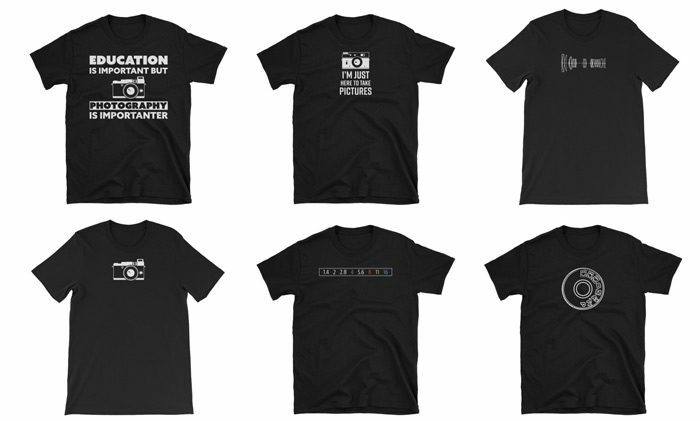 Check out our latest Will Work for Film T-Shirt design for your analog roots. It’s shown above in dark heather gray, which is my personal favor color and fabric blend. It’s nice and thin for staying cool in the summer. These run a bit small, so if you are trying to decide between one size or another, go bigger. 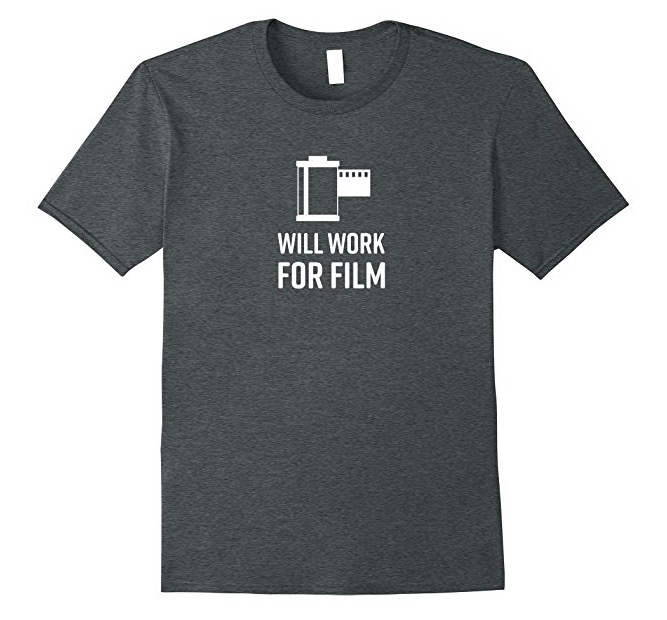 There is also a color version of the Will Work for Film t-shirt, which gives you some brighter options if neutral colors just aren’t your thing. These are available in both men and women sizes. 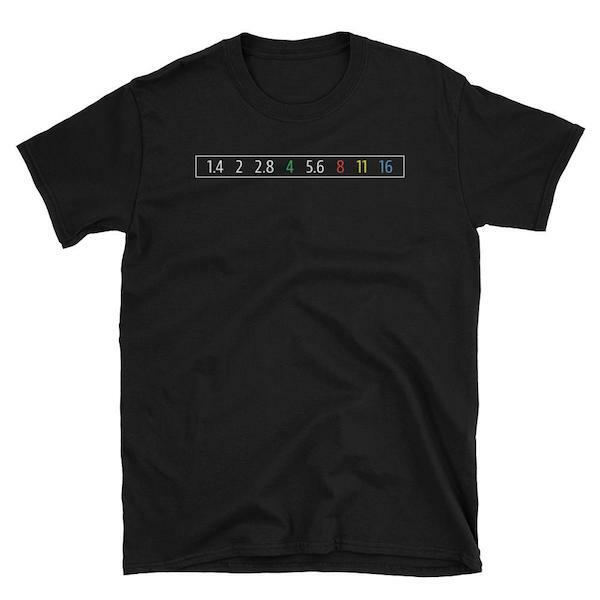 The most popular shirts are still the 70-200mm f/2.8 Lens Technical Drawing shirt and the I’m Just Here to Take Pictures shirt, so check one of those out if you haven’t yet. This week’s new t-shirt is something for the video shooters. It features a retro 8mm camera simple design with #filmmaker as the only text. This is a premium fabric, which I recommend ordering a size larger than you normally would. 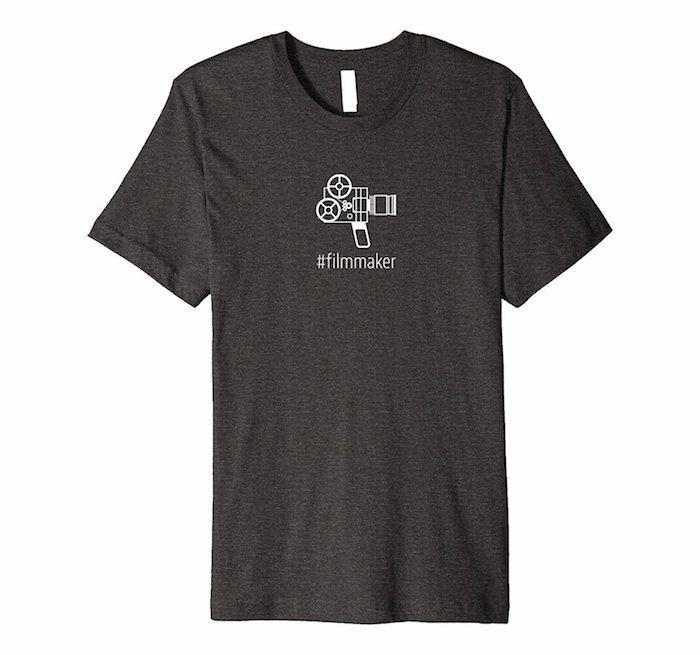 You can find the #Filmmaker t-shirt here on Amazon.com. For the photographers, we still have the 70-200mm f/2.8 Technical Drawing t-shirt, which is proving to be a hit. Also, the “I’m just here to take pictures” shirt is my personal favorite and is a pretty popular choice. Again, I like the dark heather gray color for both the look and feel. I know people outside the US want to buy these shirts and I promise that option is coming. I really appreciate everyone’s interest and especially those of you who have reached out to me directly. I’m sorry I don’t have an option for you yet, but I’m working on that. Stay tuned. This week’s new photography t-shirt showcases an optical formula for a 70-200mm f/2.8 lens. The shirt is shown above in “heather gray,” which is my new favorite color for t-shirts. 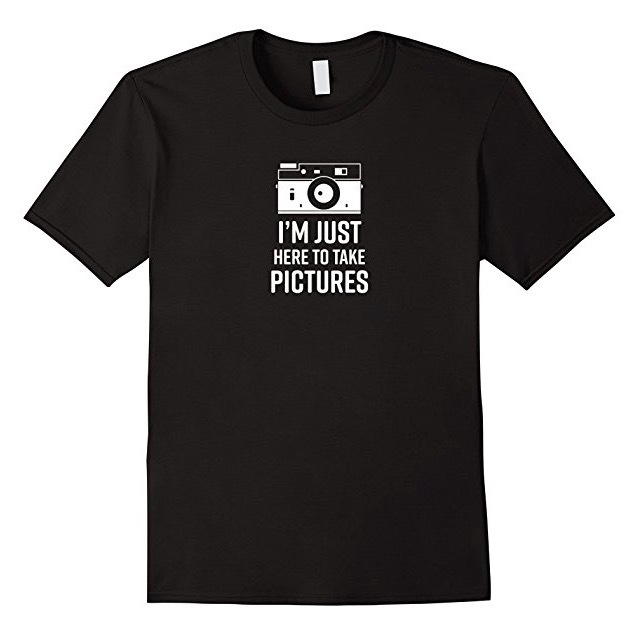 Check out our new “I’m Just Here to Take Pictures” t-shirt. It features rangefinder camera design and is 100% cotton. This fabric will shrink a bit in the wash, so order a size up from what you normally would. You can order the “I’m Just Here to Take Pictures” t-shirt on Amazon.com now. It ships free for Prime members. 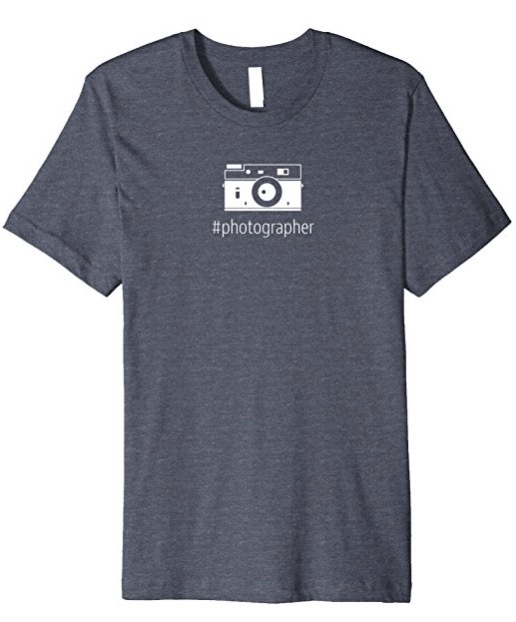 Check out our new #photographer t-shirt design that features a simple rangefinder camera icon. This is the same premium fabric that is found in the previously released When Life Gets Blurry, Adjust Your Focus T-Shirt. It is softer and thinner than the standard tee we started with. It’s also a little more breathable, which is better for the summer months ahead. The premium t-shirts run a little small, so I suggest ordering one-size up. I’m usually somewhere between a large and an extra-large depending on how many tacos I eat. So, I order an extra-large version of all the premium tees and those fit about right for me. You can order the #photographer Retro Camera T-Shirt on Amazon.com now. If the dark neutral colors aren’t for you, there is also a more colorful #photographer option here. Thanks for supporting Photography Bay.